Six years later and all is forgiven. In case you've spent six years living under a rock, let us take you back to the most memorable moment in recent awards show history - the 2009 VMAs, when Taylor swift won a gong for the 'Best Video' and Kanye West really wasn't happy about it. The moment lead to the most famous Kanye West quote of all-time. "I'mma let you finish, but Beyoncé had one of the best videos of all time!" Six years later, at last night's Grammy awards, the two came face to face and Taylor being the nice girl she is, totally forgave Kanye for his small but unforgettable past outburst. 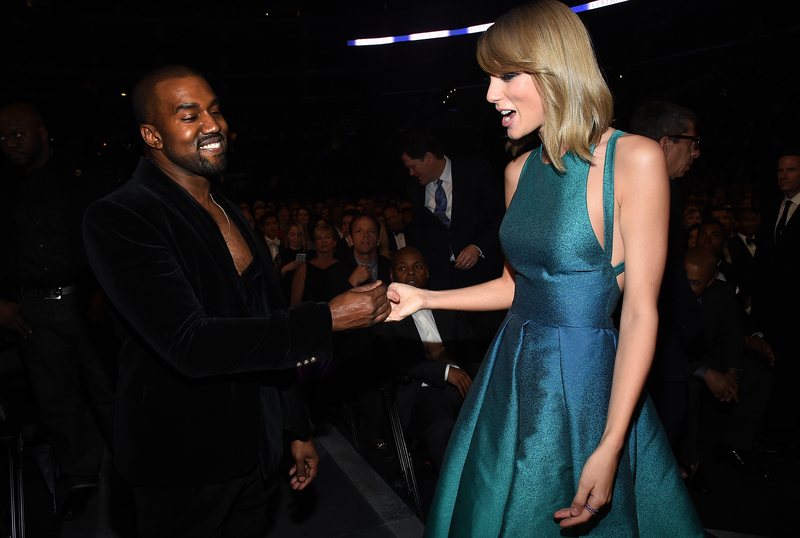 Here's Kanye West and Taylor Swift sharing an awkward hand shake. 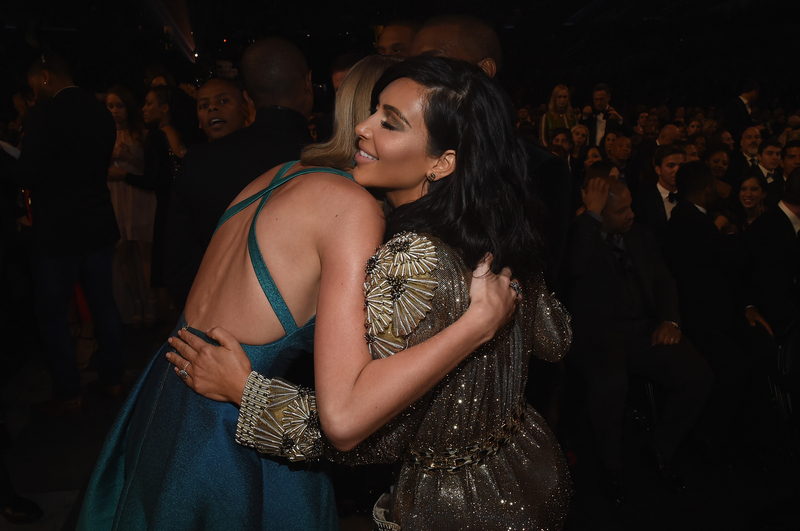 Then Taylor kindly forgave Kanye and they hugged it out. 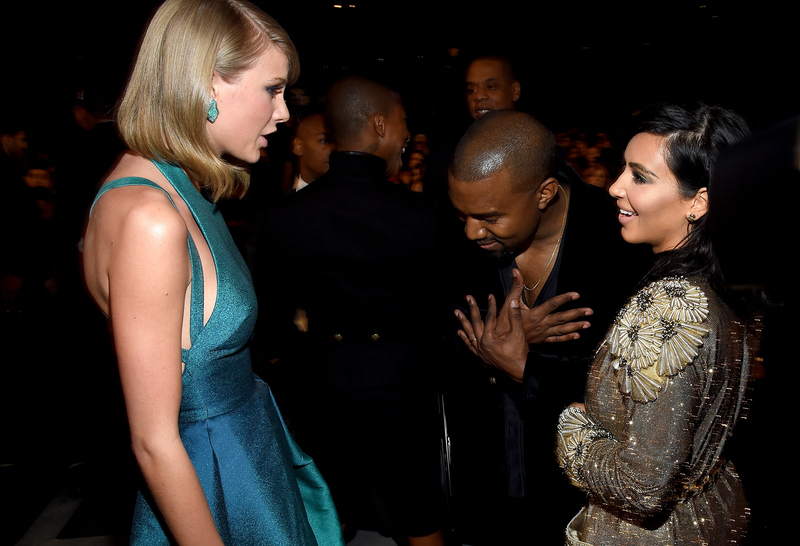 Kanye bowed to Taylor with a grateful heart. Finally, the air has been cleared. And Kanye couldn't be happier. Kim Kardashian even got involved in all the hugging and making up. Hats off to Taylor for taking her own advice.